inner worlds beyond our view. Treasures await an age no other could even dream, prophecies mere shortcomings to these. Bless each burden, each strident chorus for now. Do they not lead into the march where hearts and voices will soon praise this world again and all creation to come? Experience it for Yourself: As we are celebrating 26 years of Falun Dafa’s introduction to the public this year, anyone is welcome to join us in the celebration of World Falun Dafa Day in the Grand Parade at Sydney at 5 May. There will be performances and free meditation learning classes free for the public. awakening realms between still and storm. 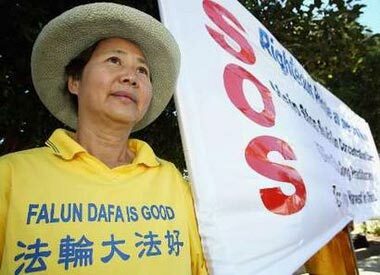 Falun Gong practitioners from around Australia will hold a rally and a press conference outside Parliament House in Canberra on 30th August 2016, as Prime Minister Malcolm Turnbull prepares to go to China for the G20 Summit. Falun Gong practitioners in Sydney will commence a 100-city car tour on August 29, as Prime Minister Malcolm Turnbull prepares to go to China for the G20 Summit. The aim for the car tour is to raise awareness amongst Australians about the ongoing 17-year long persecution in China. 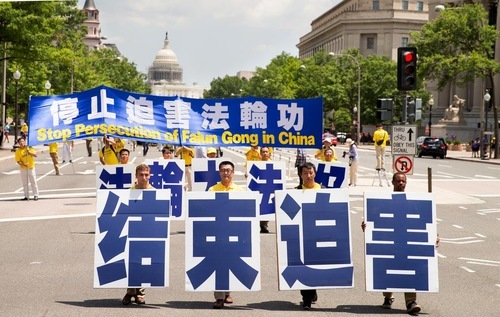 In particular Falun Gong practitioners will draw attention to the recently confirmed allegations of forced organ harvesting in China.